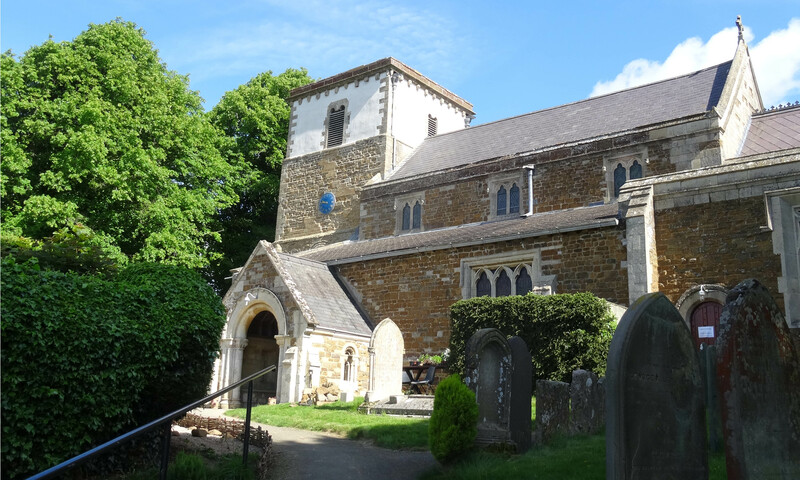 St Thomas Becket Church, Tugby, is a Grade II* listed church in the Diocese of Leicester. 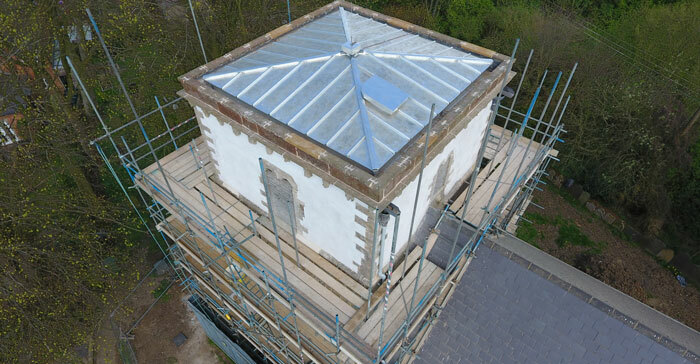 Tugby church tower roof was in urgent need of repair, and received HLF funding to undertake the works. The project included major structural repairs to the tower medieval timbers, which required structural steel supports, before replacing the roof covering with stainless steel which was previously asphalt. Stonework repairs were required to the parapet capping and the lower string courses, we replaced sections of rubble walling before re-pointing. The belfry walls were stripped of their inappropriate cement, before being re-rendered in lime. Rainwater goods were decorated and the contractor replicated a cast lead hopper, making a mould before casting the lead to form the hopper to match the existing. 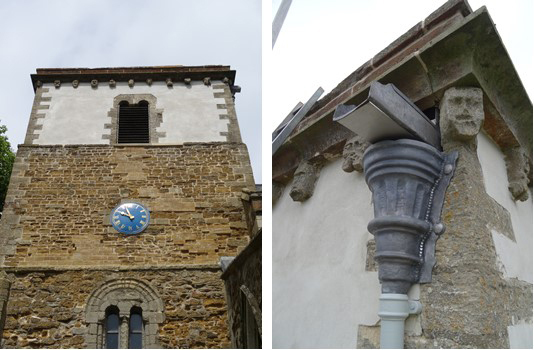 To improve damp issues in the base of the tower, we reduced the ground levels to the north side of the church and renewed the surface water drainage system which included new soakaways to all downpipes. Bats in belfry meant that the erection of the scaffold required us to maintain access around belfry window and due to the presence of the ‘natterers bats’ the timing of the works was agreed with the ecologist and had a narrow window of opportunity.